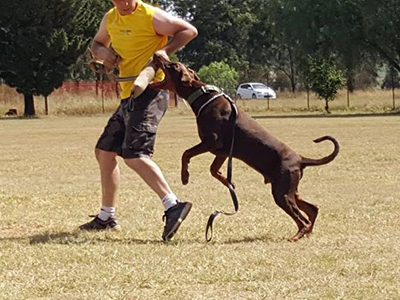 Dog Protection training is there to train your dogs to protect you when no one else can for instance when involved in a hi-jacking, hold-up, gun attacks and attacks at home. 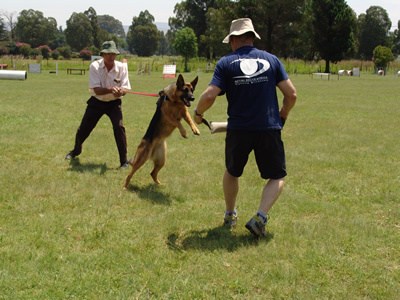 Our protection classes will train your dog to protect you when protection is needed. In the classes, personal protection training is taught and not attack work. Dogs need to distinguish when to bite, and when not to. You do not want your child to get bitten / or have a lawsuit against you. Personal protection is taught at home, in the car, when the handler cannot give a protection command, when a gun is shot, etc. We also go to your home when the dog is advanced enough to teach / test him. 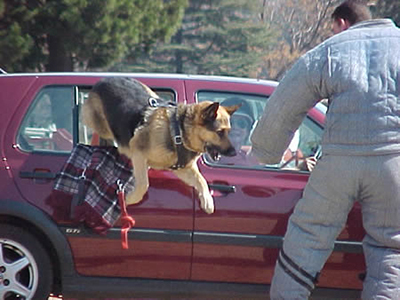 This is a tremendous advantage, as most dogs do not do the job naturally. In the success story of Brett and Major, you will read that Major is a true hero. 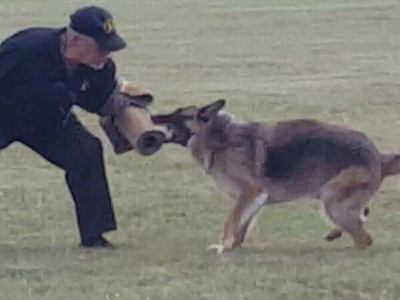 Major and Brett did not have to do protection dog training, they had such a strong bond that Major saved many lives on the night they were attacked. 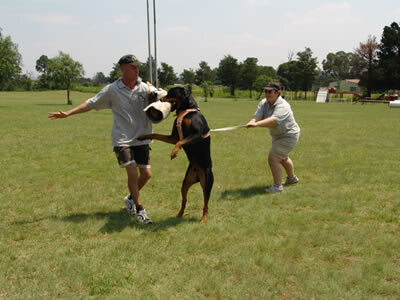 This is what we strive for when you train your dog. It makes a total difference if the dog “likes” you, as many dogs do not want to be around their owners because they haven’t bonded with each other. 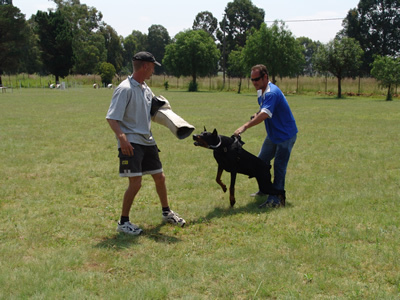 We have had on many occasions, handlers and their families protected by their dogs that had dog protection training with us. Handlers and their families were saved from a hi-jacking, hold-up, gun attacks, attacks at home, because of their loyal dogs. We had a critical situation whereby an elderly couple were attacked and left for dead. 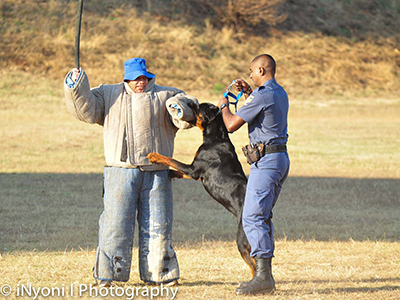 Fortunately they survived the attack and asked us to assist with some protection training, which we duly did. 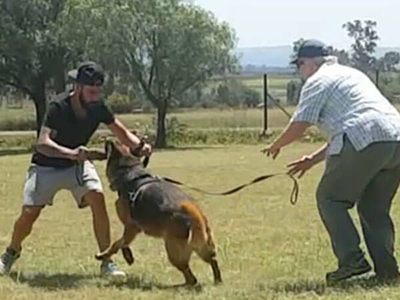 The attackers returned a month later to finish off what they started, not expecting the female German Shepherd to be totally different to the one they encountered previously. She did her job and rescued her owners, saving their lives with her courage and dedication. She is another true hero. These stories make us feel truly humble and grateful to have these animals to work with. It also gives us the greatest pleasure knowing we had a hand in saving lives. Contact us to make a booking.